These uniseal bulkheads are "one side bulkhead fittings". They can be installed into most any tank, drum, bucket, etc from one side and allow a pipe to penetrate into the vessel and provide a water tight seal. These flexible tank adapters will even seal on non-flat surfaces like 55 gallon drums, 5 gallon buckets, etc. Made in USA! 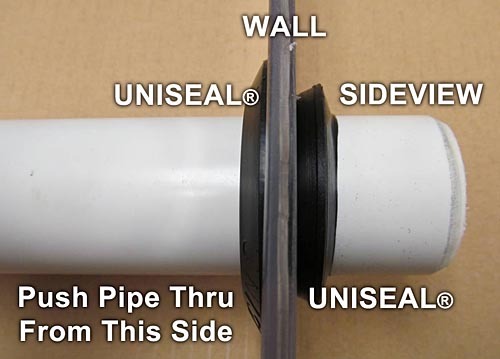 Uniseal for 3" Sch 40, Sch 80 or other IPS size pipe. Use with pipe 3" with an OD of 3.500" or 89mm. 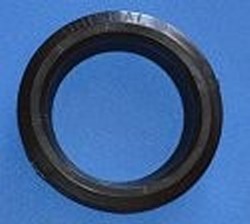 Hole size: 4.00" Outer Diameter of Seal: 4.61"